European Commission President Jean-Claude Juncker has expressed concern about Italy's contracting economy. Juncker met with Italian Prime Minister Giuseppe Conte in Rome on Tuesday to urge the government to take additional action to strengthen the country's economy. “I am slightly concerned about the fact that the Italian economy continues to decline and I hope that the Italian authorities will make additional efforts to keep economic growth alive,” Juncker said on Tuesday. Italy's GDP is forecast to contract an additional 0.2 per cent in 2019, according to an OECD report. Juncker received backlash from Italian Deputy Prime Minister Matteo Salvini, who said Europe had not helped Italy in recent years but instead has hurt the country. 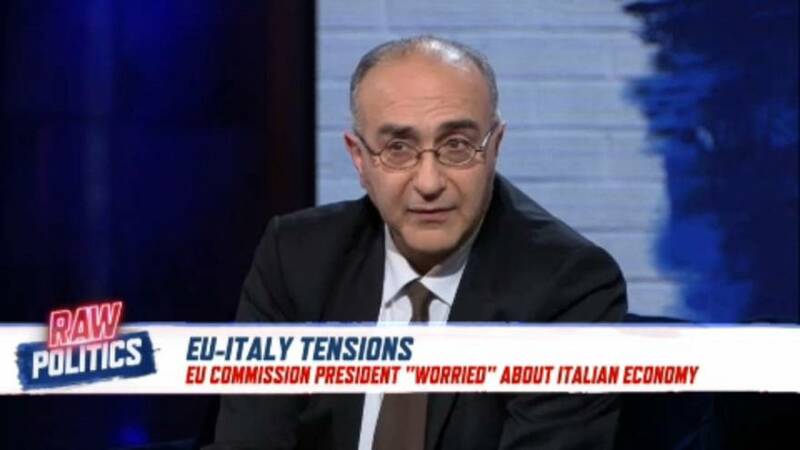 When discussing the issue on Tuesday's Raw Politics, journalist Lorenzo Consoli said Salvini's statement is part of the populist narrative and based on confrontation. "It is part of the populist speech, the people against the enemies, against the establishment," Consoli said, adding that Salvini thinks Europe is the "establishment".